The Tomcat has all the features of our adult's all-round range, but is sized for young or small climbers. Generous amounts of supportive padding feature a mesh fabric for breathability. Fully adjustable waist and leg loops allow you to fit the Tomcat over any layering system, whether climbing in hot or cold environments. A floating waistbelt keeps the padding and gear loops centralised, giving further adjustability and keeping gear within easy reach. The Tomcat is ideal for those who think that adults shouldn't have all the fun. Floating waistbelt allows centralised racking and padding for ergonomics and comfort. 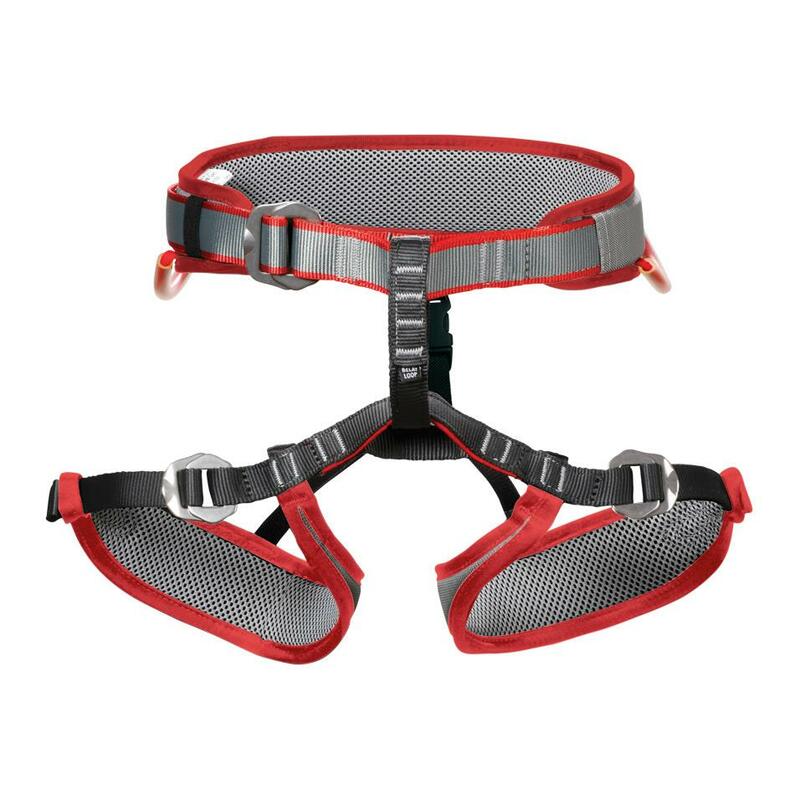 A floating waistbelt allows you to slide padding along the waist webbing, allowing you to centralise the gear loops and padding on the harness. This keeps padding in an optimal position for comfort, and equipment within easy reach, no matter how many layers you're wearing. Two gear loops give enough room for sport climbing quickdraws or a small trad rack, allowing adventurous young climbers to climb outdoors as well as inside.